Archive for the ‘The Old Stone Mill’ Category. 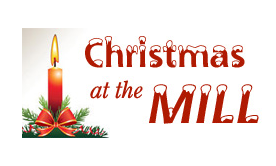 The Old Stone Mill in Delta will be lit up with festive candles and open for tours from 5-8:30pm. We’ll have a variety of activities in the Old Town Hall during Delta’s Celebrating the Season, Fridays and Saturdays, starting Friday November 30 and ending on Saturday December 22. Hot Dogs & Refreshments at the Old Town Hall. Delta Mill Society GIFT TABLE at the Old Town Hall. Enjoy hot dogs and refreshments from our Old Stone Mill Café. Lower Beverley Lake Park will be lit with over 100,000 lights. Wagon rides from Delta Fair Grounds will take you to the park and back. June 4-10 is the 22nd Anniversary for Parachute’s Safe Kids Week parachute’s Safe Kids Week is an annual campaign designed to raise public awareness of child safety issues, encouraging community involvement as part of the solution. This year our messaging will focus on the topic of Concussion on the road, at home and at play. Parachute Safe Kids Week is a national awareness campaign developed to bring attention to predictable and preventable injuries in children. This year, Parachute Safe Kids Week takes place June 4–10, 2018 and focuses on awareness of concussion at home, at play and on the road. We look forward to working again with local schools, health units and community partners to implement activities across the country. Order a community kit and/or download the free resources below to share with your community. We will have a limited number of community kits available. Your Safe Kids Week 2018 community kit will include a Jello Brain Mold and recipe, two packs of Jello, a pack of large sidewalk chalk, 50 “brain lightbulb” temporary tattoos, 50 ConcussionEd bookmarks and a guide for suggested Brain Mold and Chalk Artwork activities. The Old Stone Mill in Delta will be lit up with festive candles and open for tours from 5-8:30pm as part of Celebrating the Season. Enjoy some Christmas music by Victorian carolers. Also be sure to visit our Christmas Gift Shop in the Old Town Hall. Lower Beverley Lake Park will be lit with over 85,000 lights and there are free wagon rides from the village to the park. 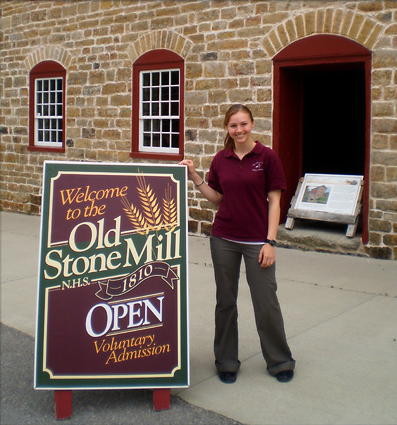 Admission to the Old Stone Mill and Old Town Hall is free (donations appreciated). Box 172, Delta, ON, K0E 1G0. SPIRITS OF THE MILL at the Old Stone Mill in Delta. Come experience a fun evening at the Old Stone Mill in Delta. Tour the mill, listen to interesting stories told by characters from the past and enjoy some spooky refreshments. We’ll gather at the old Town Hall and then take a walk to the Old Stone Mill where some of Delta’s intriguing characters from the past will be waiting. We’ll return to the Old Town Hall for “spooky refreshments and stories”. RIDEAU LAKES DOORS OPEN in DELTA featuring the Old Stone Mill, the Old Town Hall and the Blacksmith’s Shop. There will be guided tours of the mill (10 am to 4 pm) plus milling and blacksmithing demonstrations starting at 1:00 pm. 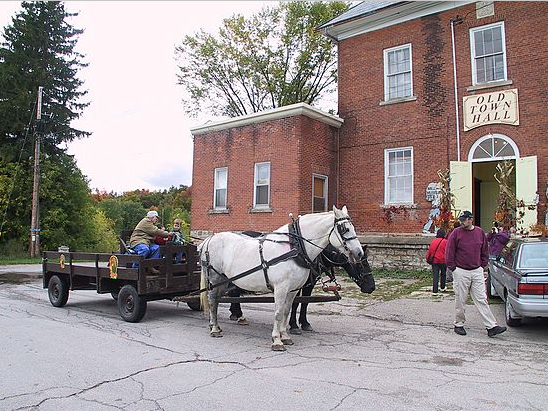 Come out, take a tour of the mill, enjoy complimentary refreshments in the Old Town Hall, watch a blacksmith ply his art and see how flour used to be made. Admission is free (donations appreciated). DOORS OPEN in DELTA featuring the Old Stone Mill, the Old Town Hall and the Blacksmith’s Shop. There will be guided tours of the mill (10 am to 4 pm) plus milling and blacksmithing demonstrations starting at 1:00 pm. Enjoy complimentary light refreshments in the Old Town Hall. Come out, take a tour of the mill, watch a blacksmith ply his art and see how flour used to be made. Admission is free (donations appreciated). 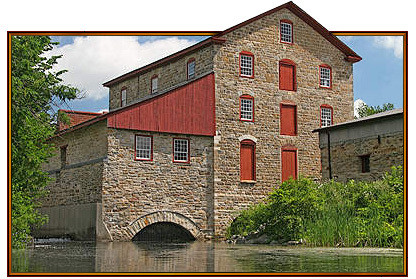 The Old Stone Mill will be open for tours from 9 am to 3 pm. Our ever popular Giant Used Book Sale will take place in the Old Town Hall on Saturday and Sunday. Blacksmithing demonstrations will take place on Saturday in the Mill Drive Shed. Milling demonstrations will take place in the mill, starting at 1 pm, on both days. Admission is free. For more information about this event, please visit http://www.deltamill.org/documents/maple-syrup-festival-2017.pdf. The Old Stone Mill at Delta was built in 1810 by William Jones and Ira Schofield and is one of the earliest surviving, fully automatic, grist mills of Upper Canada. 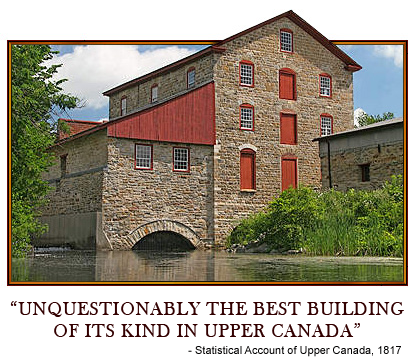 In 1817 the mill was described as “unquestionably the best building of the kind in Upper Canada”. 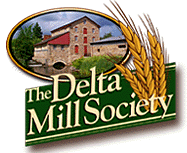 The prime artifact of the Delta Mill Society is the Mill itself, an imposing Georgian-style stone structure of four stories, 40 by 60 feet (12m x 18m). 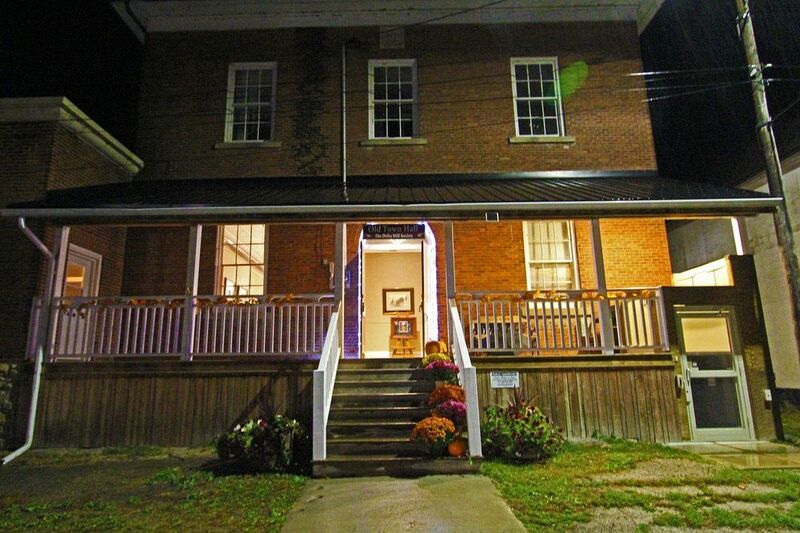 This National Historic Site is a proud reminder of the industrial heritage of Eastern Ontario. 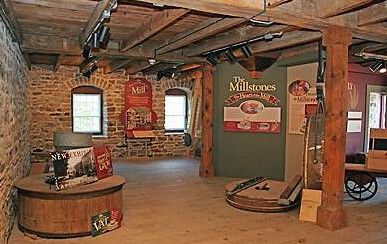 In 2005 the newly renovated mill was enhanced with beautiful interpretive signboards and displays, in 2007 a water-wheel was installed and in 2010, working millstones and a bolter were put in place. A feature exhibit, Down by the Old Millstream, Celebrating Life on the Beverley Lakes can be found on the third floor of the mill. An illustrated self-guided tour allows the visitor to easily browse all these exhibits. When you first enter the mill, you’ll see and hear the rushing water that first powered a water wheel and later a turbine to operate the various machinery of the mill. Much of this machinery is on display, starting with equipment such as millstones used the early 1800s era and moving up to machinery used in the early 1900s.